Born in 1981 in Nagasaki, Japan, Ryohei Hieda began his professional career in 2000 at the age of 19 by apprenticing at the prestigious Kyoto restaurant Gion Nakagawa. During his training, he acquired fundamental knowledge and techniques of traditional Japanese cuisine. In 2005, Chef Hieda returned to Kyushu to work at the famed restaurant Itaru where he mastered the making of artisanal salt and the expert use of it in the seasoning of dishes. He also gained deep appreciation of using the freshest produce and ingredients directly sourced from local farms. In 2008, Chef Hieda joined Michelin three-starred restaurant Nihonryori RyuGin under founder Chef Seiji Yamamoto. During this time, he was deeply moved by Chef Yamamoto’s creations and philosophy of Japanese cuisine. In 2013, to further broaden his knowledge and skill, Chef Hieda moved to San Francisco to cook at French-inspired Michelin 3-starred Benu and 3-starred Manresa restaurants. Upon returning to Tokyo in 2014, based on his demonstrated ability and talent, Chef Hieda was appointed by Chef Yamamoto as Chef de Cuisine of Shoun RyuGin restaurant in Taiwan. A pioneer in the local-sourced movement, Chef Hieda has traveled extensively throughout Taiwan to build personal relationships with small-scale farms, fishermen, and wineries. He has developed a network to produce unique, world-class ingredients for Shoun RyuGin, raising the standard for Taiwan's fine dining industry as a whole. 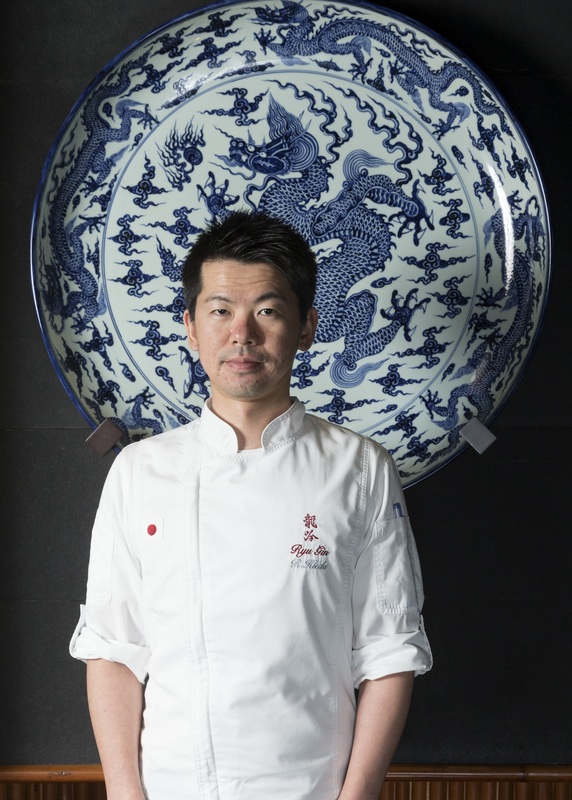 Shoun RyuGin's achievements have been recognized internationally, culminating with Chef Hieda as featured presenter at the International Chefs Summit Asia (ICSA 2017 and 2018) in Taipei. Shoun RyuGin has been awarded 2 stars from Michelin Guide Taipei 2018, is No. 47 on the Asia's 50 Best Restaurants ranking 2018, and is the No. 1 restaurant in Taiwan on La Liste 2019. Born in 1970 in Kagawa prefecture, Chef Seiji Yamamoto began his journey in the world of gastronomy at a very young age. After finishing culinary school, Chef Yamamoto spent 11 years training at famous kaiseki restaurants in Tokyo mastering every time-honored technique in traditional Japanese cuisine. 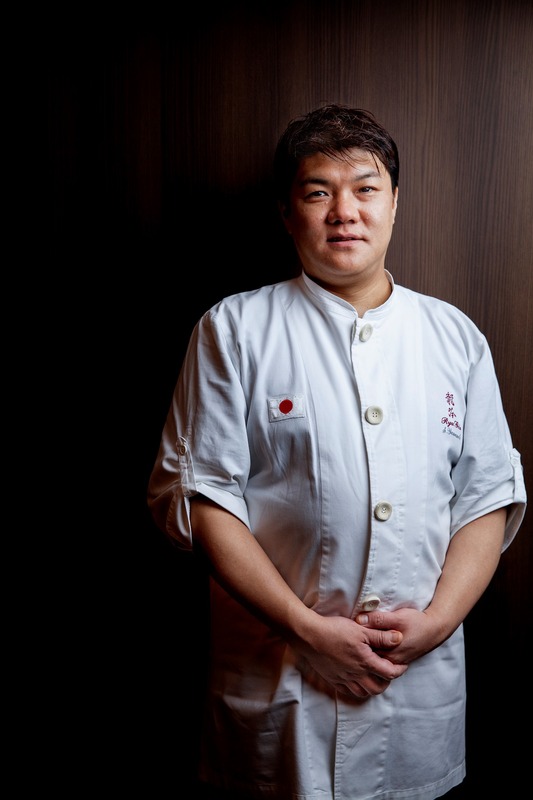 Chef Yamamoto opened his first restaurant, Nihonryori RyuGin, in Roppongi at the age of 33, in December 2003. The main theme of RyuGin was defined as “to pursue every single possibility of Japanese cuisine in the future”. Known for his creative methods and innovative interpretations of Japanese cooking, Chef Yamamoto is regularly invited to gastronomy congresses and expositions throughout Europe and North America to present his thoughts and latest creations. Chef Yamamoto’s mission is to share the richness of Japanese cuisine with others and to make it a universal language. As a step towards this ultimate goal, he expanded RyuGin overseas, and started the first sister restaurant Tenku RyuGin on the 101st floor of the International Commerce Center (ICC) in Hong Kong in 2011, followed by Shoun RyuGin in 2014. Nihonryori RyuGin has been awarded three Michelin stars for every year consecutively from 2012 to 2019. Nihonryori RyuGin was ranked 20th best restaurant in the world by S. Pellegrino & Acqua Panna’s The World’s 50 Best Restaurants in 2011, and 4th best restaurant in Asia’s 50 Best Restaurants 2015. Chef Yamamoto is #5 on Le Chef’s ranking of the 100 Best Chefs in the World 2019 list.